This institute features an internationally relevant collection of contemporary art, set within 247 acres of forests, mountains and botanical gardens. On view is an impressive collection of outdoor works, in addition to seventeen galleries dedicated to solo presentations by Cildo Meireles, Chris Burden, Helio Oiticica, Lygia Pape, Tunga, Rivane Neuenschwander, Adriana Varejão, Matthew Barney and Doug Aitken, among others. Four additional galleries house temporary exhibitions drawn from a growing collection of around 700 works by 200 artists from more than 30 countries around the world. 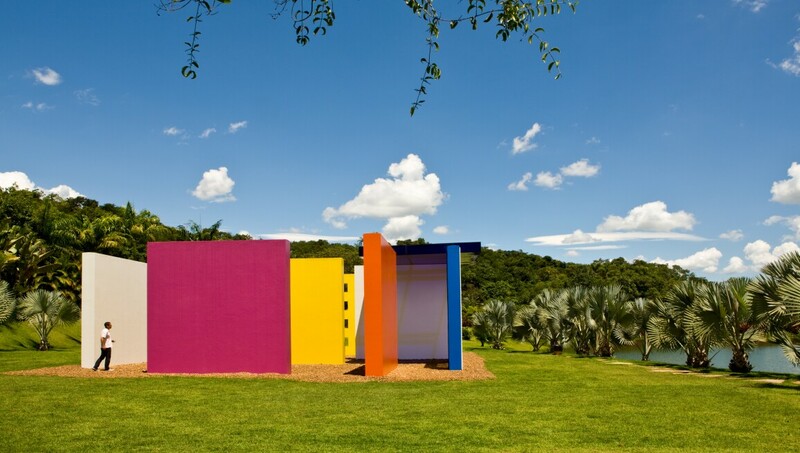 Inhotim collaborates with artists to commission new works and adapt existing ones to new spaces. Staying true to its origins as a private garden, many of these artworks are meant to innovatively integrate with landscape and nature, and augment this otherworldly site.